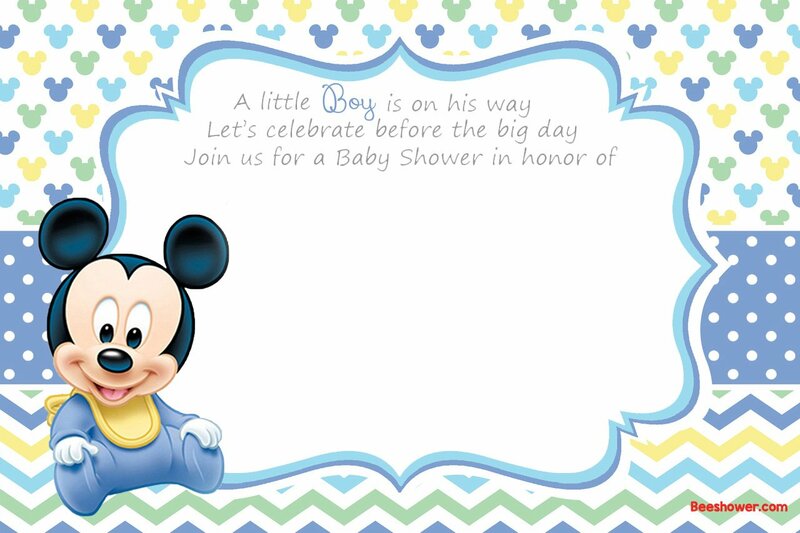 Mickey Mouse, an everlasting character from Disney, If you want to celebrate a simple, fun and colorful baby shower party, then Mickey Mouse is your best choice. Why? Coz Mickey Mouse is everywhere! You can get all his stuff easily, suitable with so many colors! Even blue and green. 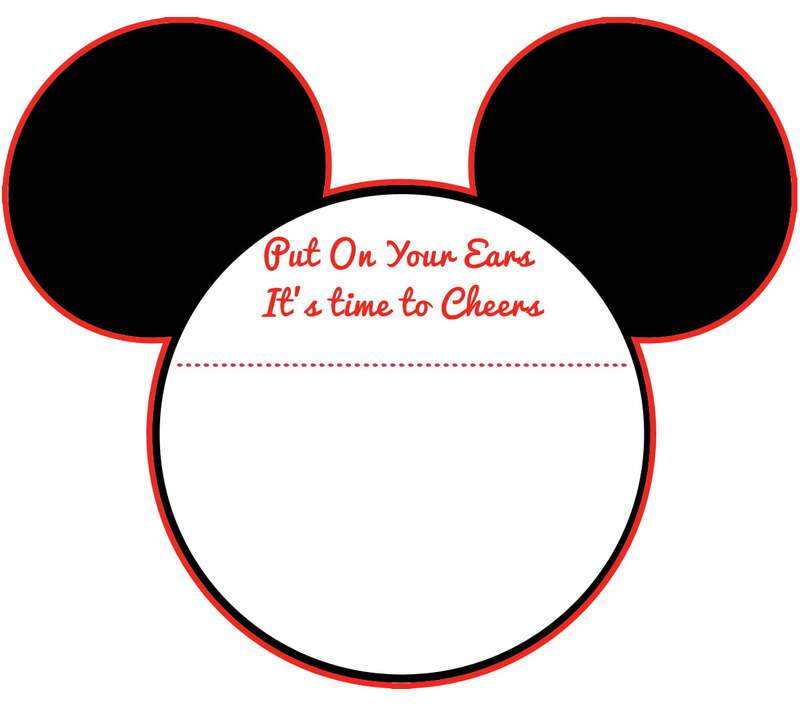 We all know that Mickey Mouse identical with black, yellow and red color, but you can use another color for many occasions too! 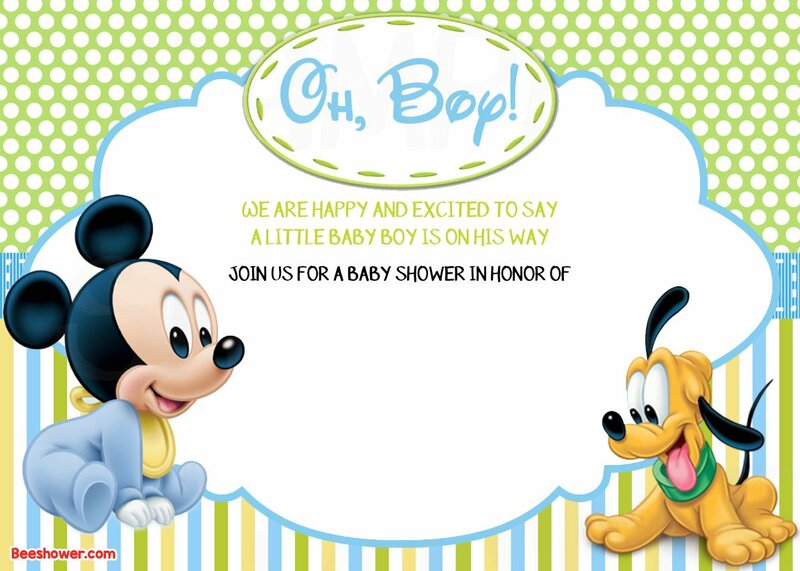 These Mickey mouse baby shower invitation comes in 5×7″ size with HD quality image. You can easily download it and start customize your invitation. Click on the image and save the image as. 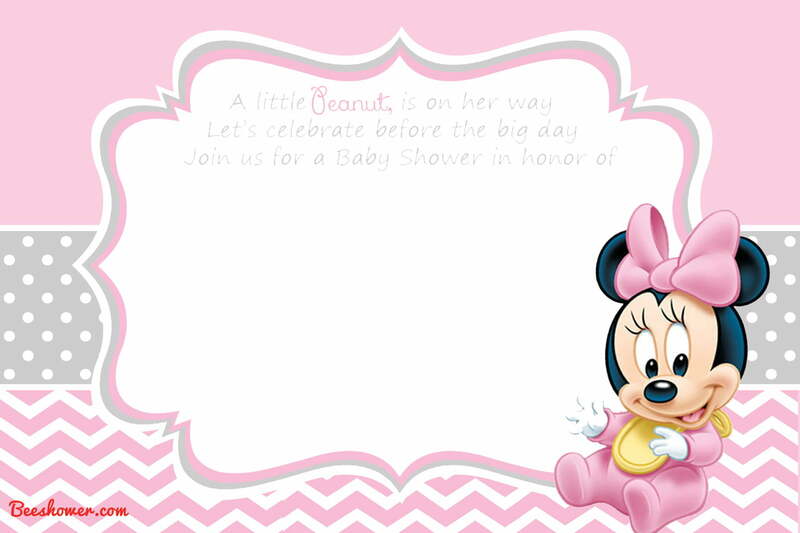 Save it on your desktop, print and start write down your baby shower party details like time, date and location of your baby shower party. If you are able to operate image processing software, then you are ready to the next level. 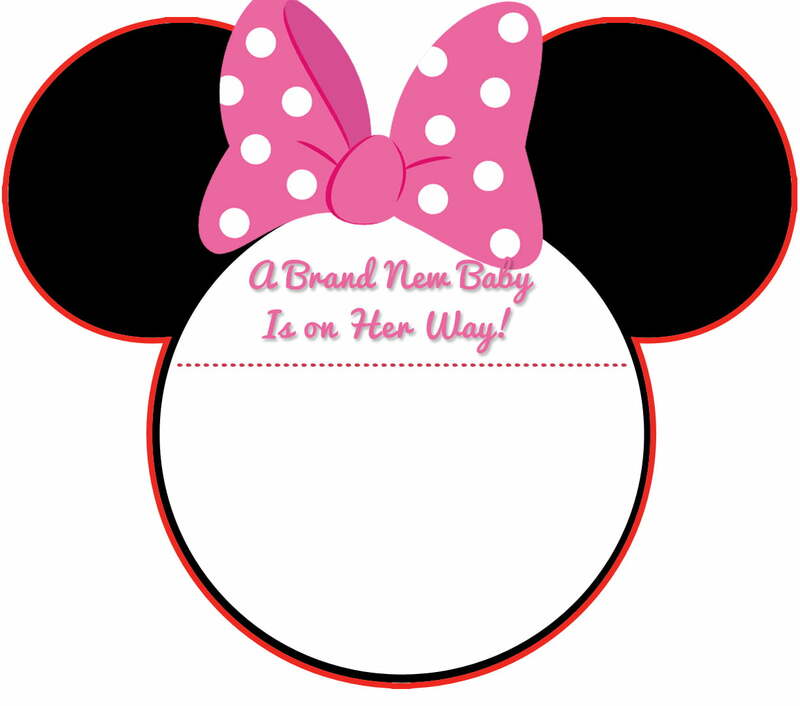 You can add some text and photo on it with fancy and popular Mickey Mouse font. 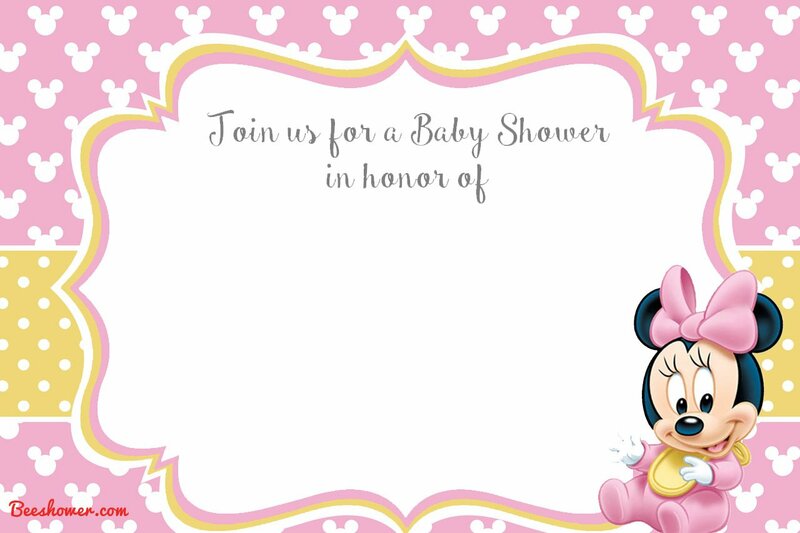 How to Download Mickey Mouse Baby Shower Invitation? Simply click on the image and save the image as! When you’re done, write down the party details and go to your nearest print shop, and you’re ready to spread the words. 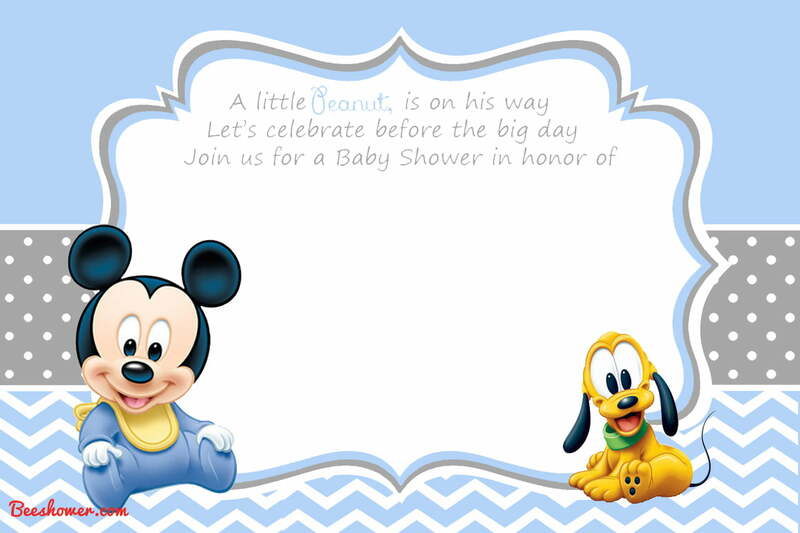 You can use cardstock paper for this baby shower invitation. Cardstock paper brings authentic and premium feeling to your invitation.